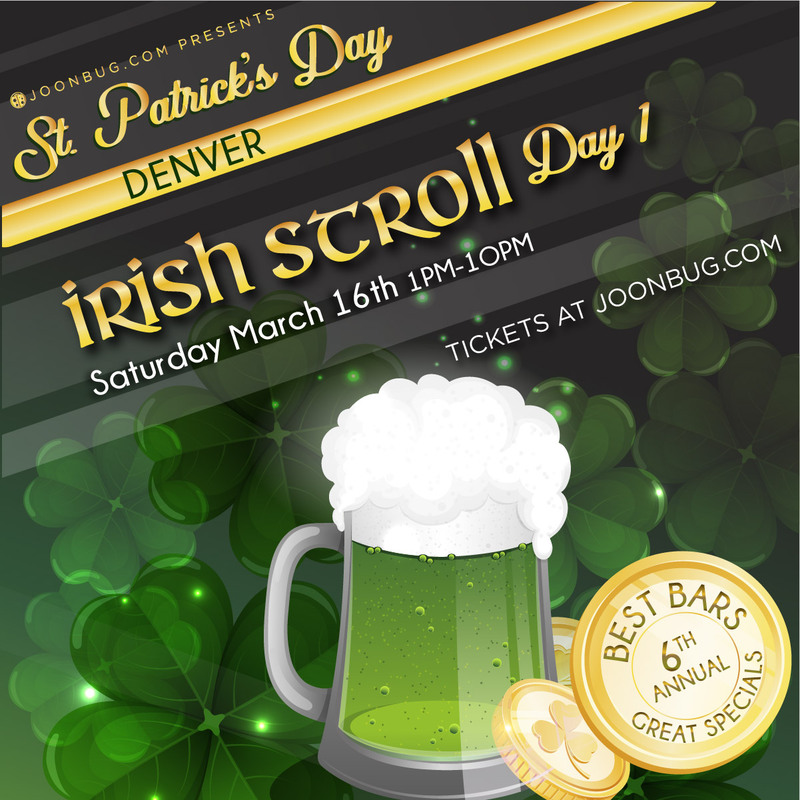 Forget a one-day holiday - give your weekend a dash of clover with Denver’s Official Irish Stroll bar crawl. On Saturday March 16th, Day One of the stroll kicks off with Irish pride at an all-time high. All of Denver’s most popular establishments are celebrating in style, and your wristband to the Irish Stroll grants you entry to every one of them without a cover fee. Music, chilled drinks, and happy celebration will envelope Denver, and the Irish Stroll passes through all of it. Hop back and forth with friends to your favorite spots and don your green beads with pride. Don’t let Saint Patrick’s Day go by without a proper Irish send off on the Irish Stroll.